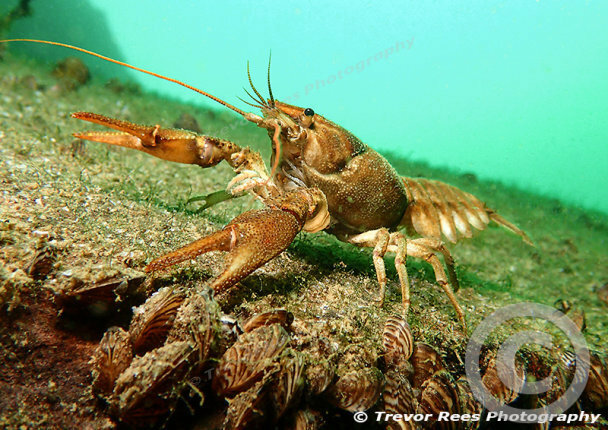 The British native crayfish (Austropotambius pallipes) from a flooded freshwater former quarry. These are sometime called the White clawed crayfish. Camera Olympus TG3 camera, Olympus housing + Sea & Sea YS110 strobe.